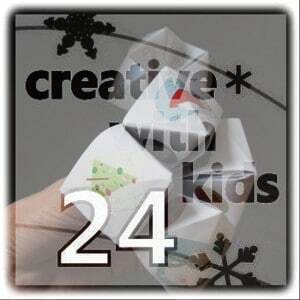 Yes… it is Day 24 of the Creative Christmas Countdown.. and yes, that means today is the VERY LAST day of the virtual advent calendar series!! It also means that it is CHRISTMAS! Hooray!!! How we love love love Christmas. 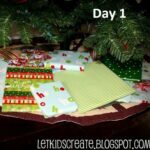 And to easy into the final hours of Christmas anticipation, Creative with Kids shares these lovely Christmas Fortune Tellers! 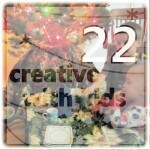 A lovely finish to the Creative Christmas Countdown indeed! Children have the ability to go through VAST amounts of craft supplies! However, crafting with kids should not cost a fortune. 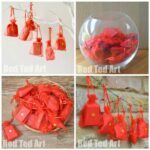 There are plenty of things you can “upcycle” from around the home – we love saving tissue paper , wrapping paper and ribbons from gifts, crafting with loo rolls, reusing old clothes as fabric scarps for crafts (e.g. stick men and Loo roll people), crafting with loo rolls, old boxes, bottle tops and wine corks and collecting items from nature (pinecones, sticks, stones, leaves). Our main “costs” are PVA glue, paint and googly eyes. What have you got in your house that you could use with the kids? 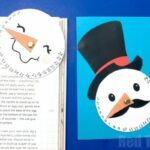 I do hope that you enjoyed this Creative Christmas countdown! 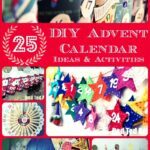 Thank you to Creative With Kids for organising us all and all the fantastic kid bloggers who made this advent magical for us all. 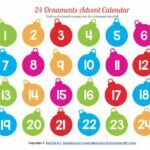 If you want to see all the 24 activities and the blogs involved in one place, check out the main Creative Christmas Countdown page! Merry Christmas! And here is to a very Crafty New Year!